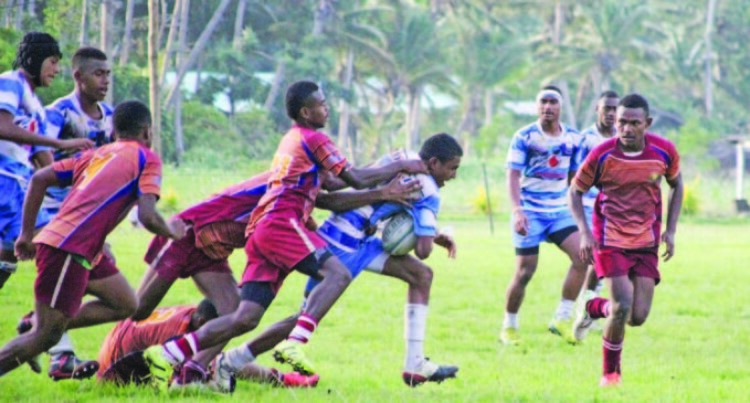 Saint John’s College Cawaci Under-17 rugby team thrashed Tailevu North College 44-5 in the Fiji Secondary Schools Rugby Union Eastern Zone competition at the SJC ground in Ovalau yesterday. SJC coach Suwani Rauto said after their loss to Ratu Kadavulevu School last week they were determined to bounce back with a win. Rauto said they would now to need to focus on maintaining their discipline as they prepare for next week’s clash against Lelean Memorial School. “We knew we had the home ground advantage and we really wanted to get this win after the loss last week,” he said. “After the game we saw that we have really improved on our set pieces and scrums. Rauto said they are trying to prepare the U17 team for next year’s competition. TNC coach Iowane Tikoisuva said they have a development team and still have a lot to learn. “St John’s is a champion side and we have just begun playing in the U17 grade so this is a learning process for us,” Tikoisuva said. Today, in the U18 thriller SJC take on Queen Victoria School at home.